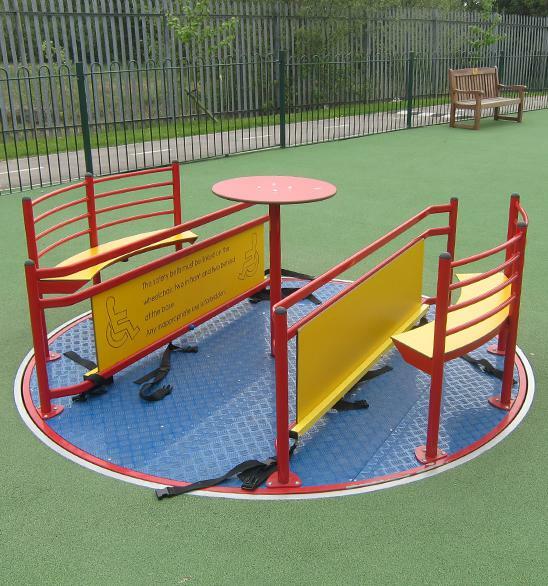 Any inclusive playground is aided greatly by the addition of one of our Inclusive Wheelchair Roundabouts. The outside benches will seat four children with space for two wheelchairs in the middle, who are fastened in for safety with the straps provided. We fit the roundabout flush with your playground surfacing so no ramps are needed, and for safety purposes a specially designed geared system is fitted underneath to limit the speed of the roundabout, ensuring the children’s safety.